In our packed e-newsletter we cover a wide range of good practice and achievements from the policy to the practice level on out of school care, including AQS awards. 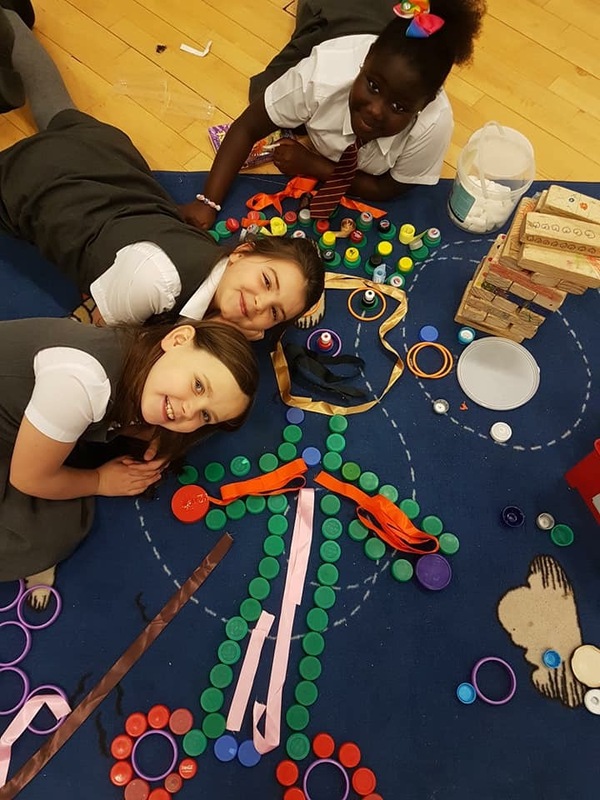 We also let you know about our events and training, with ideas to link physical activity work with national events and the start of our fantastic STEM project. 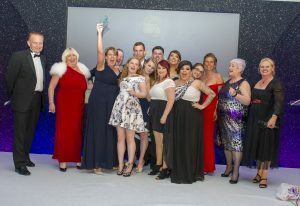 We give you essential updates from the Scottish Government, Care Inspectorate and SSSC, and small grant information, and last, but not least, focus on an award winning service as an example of great practice. SOSCN is currently pulling together case studies of innovative and good practice in out of school care services across Scotland; these studies along with results from the workforce survey, and parent, children and local authority surveys will provide data for the national OSC policy we are developing. The policy will be published in the first half of 2018. We recognise that it is not just activities during the school day that contribute to the success of our young people. Extra-curricular activities can also help to boost attainment and build the skills that young people will need in the future. And this is also bolstered with the news that the sector continues to grow, now at a total of 1,029 services - see Care inspectorate update below. 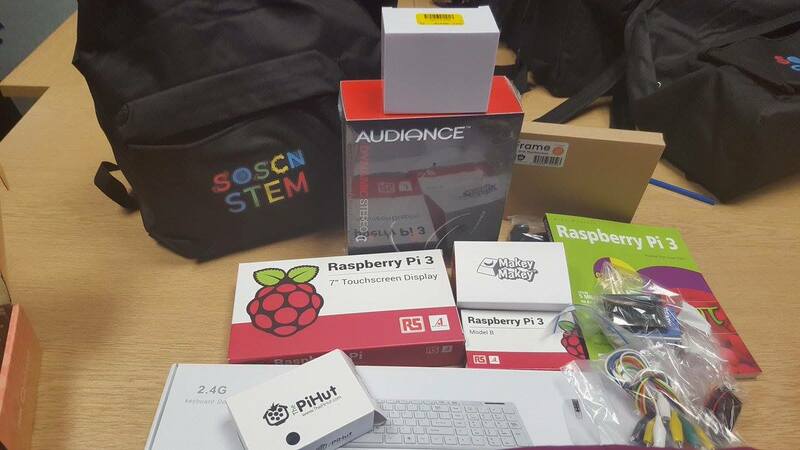 Last week was the start of the creative computing STEM training project we are running in partnership with West College Scotland. 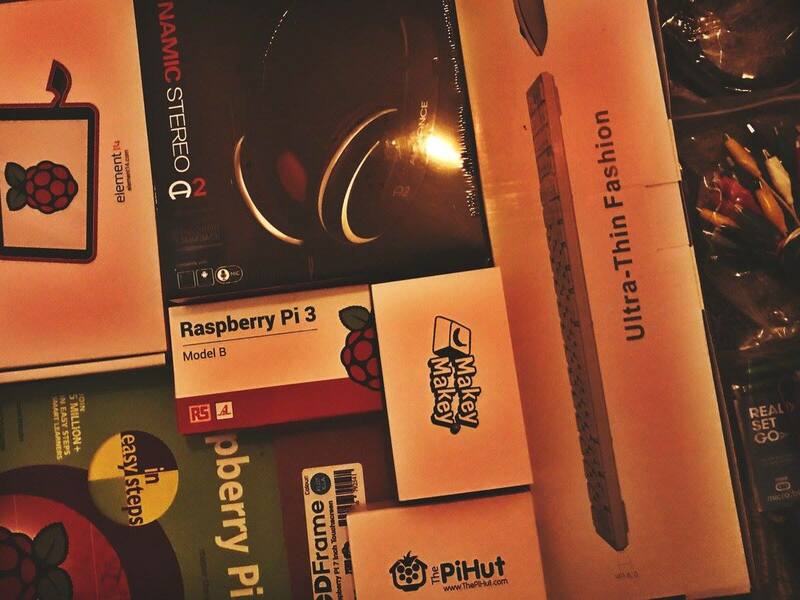 Each participant got a goodie-bag of tech equipment and they started to learn how to program microbits & some have already stated using it with children in their service. 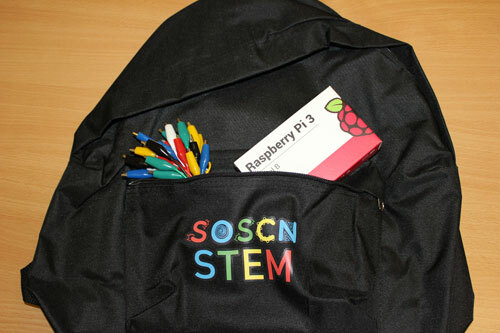 SOSCN's STEM Champions project is funded by the Scottish Government CYPIEF project Fund. Over the next few months SOSCN is running a series of events in partnership with the Care Inspectorate. Starting this month, and running to February 2018, these events will provide services with a national update on out of school care in Scotland and developments in the sector, as well as the opportunity to network and discuss practice issues. At each seminar the Care Inspectorate will also talk about the new Health and Social Care Standards which will be replacing the Care Standards from April 2018- presentations and discussions will look at what the standards consist of, what this means, and how they can be implemented. Glasgow and Aberdeen Dates are now fully booked, however there are places still remaining in Edinburgh and Dundee. These Health and Social Care Standards set out what we should expect when using health, social care or social work services in Scotland. They seek to provide better outcomes for everyone; to ensure that individuals are treated with respect and dignity, and that the basic human rights we are all entitled to are upheld. The new Health and Social Care Standards which will be replacing the Care Standards from April 2018. SOSCN's quality assurance framework, Achieving Quality Scotland, links in with the new Care Standards. More information on this can be found in the AQS section below. Out of School Care continues to grow- the Care Inspectorate recently published their 2016 Early Learning and Childcare Statistics and there is a 1.8% increase in the number of services on the previous year. It is the 2nd largest sector providing care for children. There is a total of 1,029 OSC services: 739 OSC main services and 290 services (predominantly nurseries) which have OSC as an additional service. The total number of children registered with all OSC services in Scotland is 79,790 children. Of the 739 main services, 47% are run by the voluntary sector, 39% by the private and 13% by the public. The average capacity is 42.9 places. In terms of holidays there are 599 services, of which only 44 are stand-alone holiday playschemes; the total number of children registered with holiday services is 54,110. The Care Inspectorate are collaborating with Scottish Government and NHS health boards to develop a new resource that will celebrate and share examples of good practice for eating well in early learning and childcare settings. The publication will enhance the key messages from NHS Health Scotland's guidance Setting the Table and will be useful across the wide range of children's settings in the community. The Care Inspectorate are inviting service providers and their staff to come forward, by mid-November, with stories and examples of good practice in children's food provision and eating experiences. We will especially welcome examples that promote the use of Setting the Table and demonstrate an aspect of the SHANARRI wellbeing indicators. Achieving Quality Scotland is the Scottish Out of School Care Network's resource which is designed to help out of school care services in Scotland improve their practice and ultimately give children and young people within their care, the best possible opportunities in terms of play, care and informal learning. Achieving Quality Scotland is designed to support services through processes of change and development and show how they implement the United Nations Convention on the Rights of the Child (UNCRC); Getting It Right For Every Child (GIRFEC); Safe Healthy Achieving Nurtured Active Respected Responsible Included (SHANARRI) Wellbeing Indicators, and the Playwork Principles- the key criteria against which services should be measuring themselves. Achieving Quality Scotland provides services with a framework for quality improvement and requires services to build a portfolio of evidence for objective external assessment against a clear set of criteria. Services will have to achieve all the criteria in order to gain the Achieving Quality Scotland mark; for excellent services which exceed the criteria there is an opportunity to be 'star rated' over and above the quality mark. Services wishing to gain the additional quality stars must show evidence from the 'star indicators' which are within each quality area. Achieving Quality Scotland links with the Care Inspectorate quality inspection themes. The tables below clearly show the links between the new National Standards for Health and Social Care (2017) and where they link with the Quality Areas in Achieving Quality Scotland. The Scottish Government: Health and Social Care Standards: My support, my life (2017) set out what we should expect when using health, social care or social work services in Scotland. They seek to provide better outcomes for everyone; to ensure that individuals are treated with respect and dignity, and that the basic human rights we are all entitled to are upheld. Dignity and respect, compassion, be included, responsive care and support and wellbeing. My human rights are respected and promoted. I am respected and treated with dignity as an individual. I am treated fairly and do not experience discrimination. I experience warm, compassionate and nurturing care and support. My care is provided by people who understand and are sensitive to my needs and my wishes. I receive the right information, at the right time and in a way that I can understand. I am supported to make informed choices, so that I can control my care and support. I am included in wider decisions about the way the service is provided, and my suggestions, feedback and concerns are considered. I am supported to participate fully and actively in my community. My health and social care needs are assessed and reviewed to ensure I receive the right support and care at the right time. I am asked about my lifestyle preferences and aspirations and I am supported to achieve these. I feel safe and I am protected from neglect, abuse or avoidable harm. We have been delighted to award 2 more services their Achieving Quality Scotland award. Both services demonstrated high levels of quality across their practice. A huge congratulations to everyone involved in achieving these awards. Keep up the good work. SOSCN's free Physical Activity and Wellbeing training courses are both still available to members. If you have not taken part yet, or have only participated in the first part (the First Steps) of the training and would like to book the follow up session (The Next Steps), then please see this link for booking information. Currently, the training can only be delivered on weekday evenings and at weekends. Both training sessions last two hours and are delivered separately, usually with the Next Steps training being delivered a month or two later. Depending on your location and the required travel time, we may not be able to offer you an evening session. Moreover, depending on the required travel time, we might have to offer you a slightly later start time than you stated. Example training times: Evening Session: 6:30pm to 8:30pm - Weekends: 10:00am to 12:00pm. 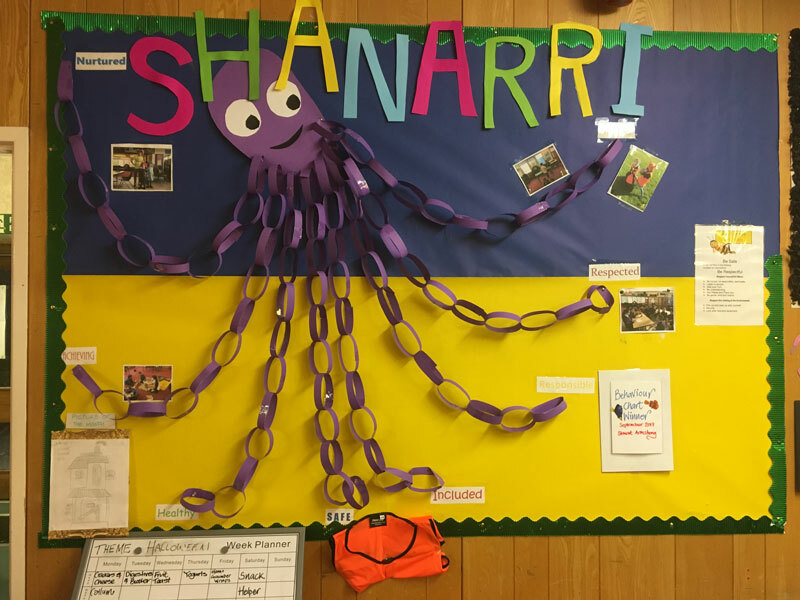 Doonfoot After School Service have created a great physical activity display as a result of attending the Activity and Wellbeing training, well done Doonfoot. Our Physical Activity and Wellbeing Coordinator, Grieg, has produced this information and ideas resource in support of the European Championships 2018. Athletics - Berlin will be hosting the Athletics events such as long jump, sprinting, and hurdles. 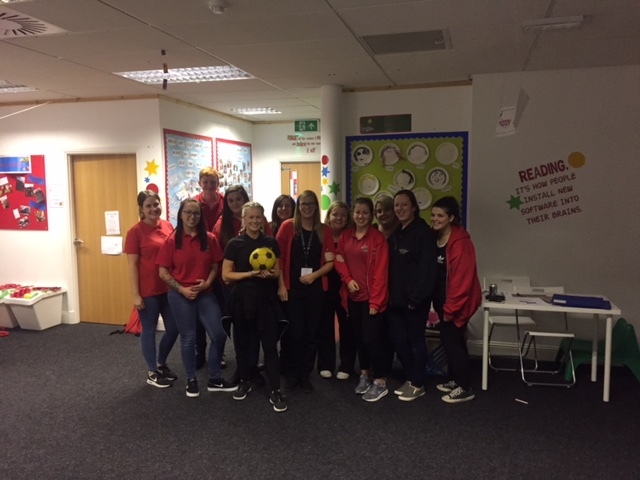 After the success of the 2014 Commonwealth games in Glasgow, out of school care services across Scotland have the opportunity to once again promote and celebrate the importance of being fit and healthy through sport. With just under a year to go until the games begin why not start planning out your summer sports days. Theme the sports days around the 2018 championships and inspire the next generation of athletes in sports such as cycling and gymnastics. Below are some of the simple ways to get all children and staff within your service involved in the planning of the games. Researching the host cities is a good way of starting of the games research. Finding out facts about before cities and countries and creating a wall display will engage children in the long term goal of running a sports day in the summer of 2018 themed around the European championships. Location: Depending on the weather, do you have the location space to carry out activities indoors and outdoors? Children: Consult with the children within your service. Find out any ideas they have that can help plan and carry out the games. Find out what role they would like to take on in the planning of the games. Sports Equipment: What sports equipment do you current have? Could you enquire about new equipment? Top Tip: Charity shops usual have equipment that is donated, make sure you check with your local shop every now and then. Get Creative: Making some of your sports equipment could not only save you money but gives children a games to get creative! Relay Baton: Kitchen roll tube and paper mashy. Team T-Shirt: Source out plain white tshirts to use using the summer games. Involve parents and guardians by requesting old t-shirts from home that you can use to cut up and make team badges to make each teams tshirts as colourful and eye catching as possible. Benefits: Arts and Crafts is a great way to get children participating in an activity and learning about being physically active the same time. Planning: Staff and children can get involved in making posters and flags that promote the various sports and countries that will be represented and played during the games. Creating a wall display with this information is a good way to motivate children to complete tasks. Staff can discuss with children their views and thoughts regarding sport which might bring up their barriers to taking part in certain sports. Staff can then work on these barriers and assist children in finding a sport that’s right for them. Staff have the important role of inspiring and motivating children to take part in the planning and research of the sports day. It is important to highlight the team work required amongst all children in order to create visible display. Staff can carry out their own research on the games and take note of important information that can assist children in their own research of the games. Staff can visit the website for more background information on the championships and the host cities. Wall Space: Highlight the children’s work for parents and guardians to see. Stationary: Pens/paper for posters and banners. Computer Access: Children and staff can research the games and gain knowledge of the sports being played. Sports Equipment: Remember, making your own equipment and involving children in this process involves in the preparation stage. Remember: You may not be able to carry out all the sports that will be taking place at the games due to equipment or safety such as BMX biking and gymnastic. These sports can still be researched and promoted by posters and flags. Remember: Not only will planning and carrying out the games inspire children to take part in physical activity but it will develop literacy, numeracy and important life skills such as planning, communication and resilience. Available now. Further dates to be announced. Young people today face mounting problems which makes working with and helping them learn, more important than ever. This course will help improve your experience working with young people. On the course, we'll use the latest research to investigate the causes of challenging behaviour and look at strategies, helping you build a toolkit to modify behaviour. 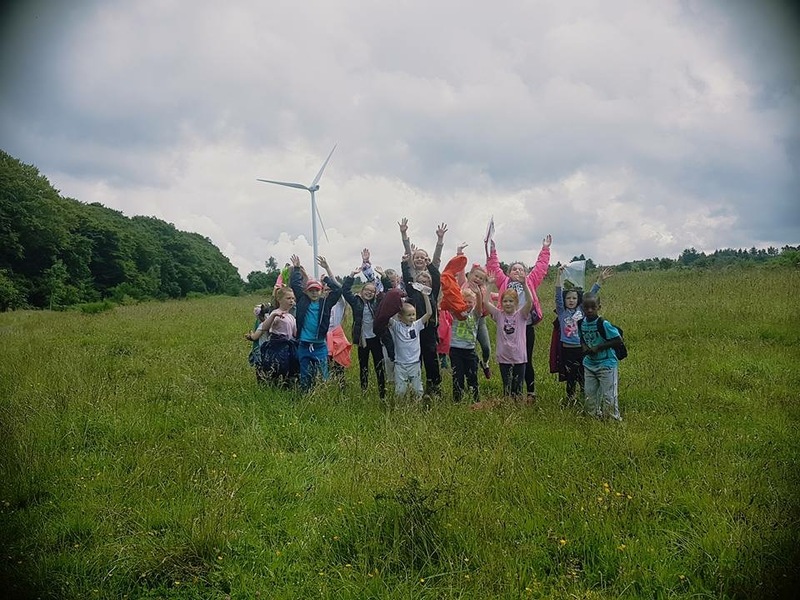 Ambition School Leadership work with a variety of experts that offer empirical knowledge and learning from within different school settings, meaning their expertise is drawn from both research and people directly working with young people. 2018 is 'Year of the Young Person' in Scotland - a supporters toolkit can be downloaded from the website. Year of Young People 2018 is an opportunity to celebrate the amazing young personalities, talents, and achievers that make up Scotland. It's all about inspiring our nation through its young people's ideas, attitudes and ambitions. Year of Young People 2018 is something everyone can support (young or young-at-heart) and be immensely proud of. Anti bullying Week 2017 is being held between the 13th and 17th November and is organised by Anti-Bullying Alliance. 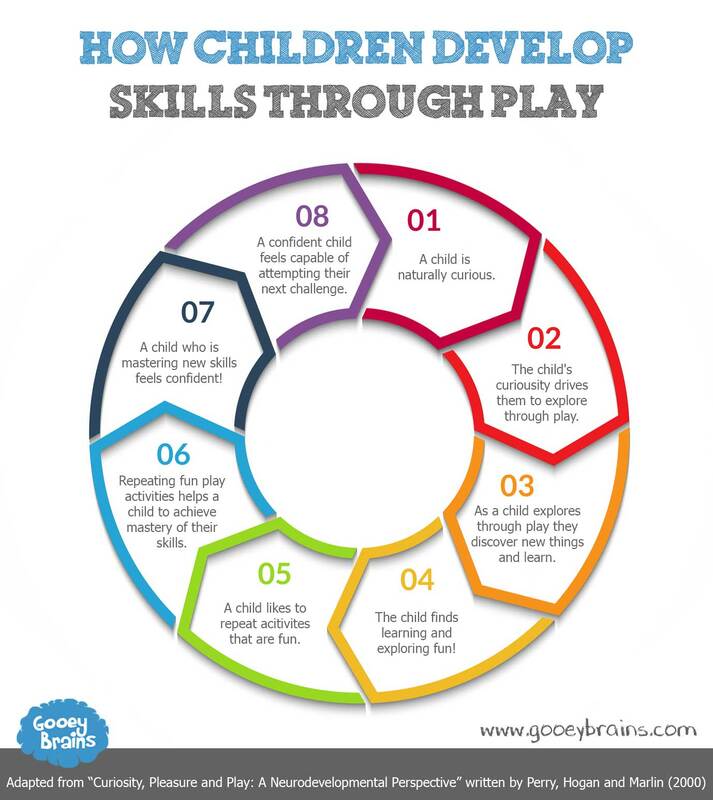 Infographic - how children develop skills through play. ScotRail is connecting Scotland - delivering door-step to destination solutions and enhancing the connection between people and communities. The ScotRail Foundation can provide grants of between £500 and £2,000 to constituted community groups and charities. Voluntary organisations, charities schools and pre-schools can apply for grants of up to £500 from the WHSmith Trust. The WHSmith Trust is an independent registered charity that uses the proceeds of the compulsory carrier bag charges across the UK to offer the grants to support good causes in the local communities where WHSmith operates. There are two application rounds each year. The deadline for the current funding round is the 31st March 2018. Applications can be submitted via an online applications form. Applications can be made at any time and applicants should contact their regional volunteer group. Subject to an application being approved by Wooden Spoon Trustees, the Society require a minimum of one Wooden Spoon membership to be taken out by a representative of the applicant organisation. For more information on how to apply, please click on the link below. Coaching aids such as: cones and throw down marker lines. This consultation document proposes a range of actions to improve diet and weight in Scotland. The Scottish Government's Programme for Government 2017-18 sets out the actions the Government will take in the forthcoming year. A Quality Action Plan to underpin the expansion of early learning and childcare (ELC) in Scotland to 1140 hours per year by 2020. SOSCN was involved in the development of this action plan. This is Scotland's first British Sign Language (BSL) National Plan, as required by the BSL (Scotland) Act 2015. It sets out Scotland's ambition to be the best place in the world for BSL users to live, work and visit and it includes 70 actions we will take by 2020 to help us make progress towards this goal. This guidance provides a framework within which agencies and practitioners can develop and agree processes for working collaboratively and individually to promote the safety and wellbeing of women and girls and supplements agencies and organisations own policies and procedures on FGM. Last month I visited Monkey Puzzle Glasgow Central, located in the Gorbals in Glasgow. I met with the manager Lorraine, and spent some time walking about their service talking to staff and children. They have fantastic facilities on offer and I had a great time seeing what goes on there. Here are some pictures below. Monkey Puzzle recently won 'Team of the Year' at the NMT (Nursery Management Today) Awards. Lorraine also won top 5 Most Inspirational at the Awards for her outstanding contribution to participation and involving parents and community. Scottish Out of School Care Network © 2017. SOSCN takes no responsibility for the content of external websites.